Does not include sales tax and fees. Some vehicles may be excluded. Certain vehicle restrictions apply. WE DON'T CHARGE DOCUMENTATION FEES OR ANY OTHER HIDDEN CHARGES. WE PROVIDE A FREE CARFAX VEHICLE REPORT AND A 30 DAY 2500 KM HASSLE FREE EXCHANGE POLICY ON USED VEHICLES. PLUS A FULL VEHICLE DETAIL AND A FULL TANK OF GAS. Front brakes have 70% remaining, and rear brakes have 80% remaining. Tires have 75% tread remaining. It has been well serviced. 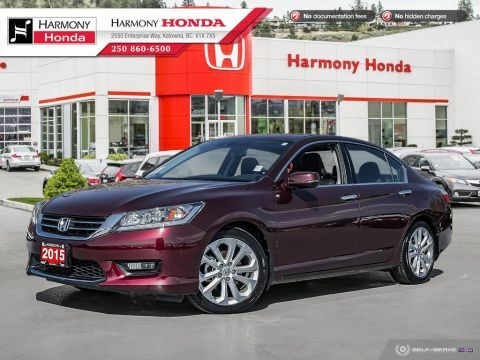 This 2015 Honda Accord Sedan is a BC Vehicle with low Km and comes with Factory Warranty until January 30, 2020, or 100,000 Km. 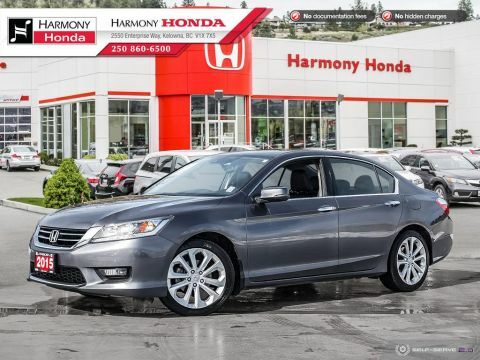 It has a clean history with no accidents or damage and is equipped with Navigation System, Backup Camera, Sunroof, and USB Port. This Ex-Lease FWD Sedan is coming with Eco Assist™ System, Air Conditioning, Cruise Control, Tilt Steering, Leather Interior, Power Windows, Power Door Locks, Power Mirrors, Power Trunk, Floor Mats, Alloy Wheels, Remote Keyless Entry, Power Driver's Seat, Dual Power Seats, Heated Seats, Push Button Start, Sunroof, Fog Lights, Tire Pressure Monitoring System (TPMS), and more features. 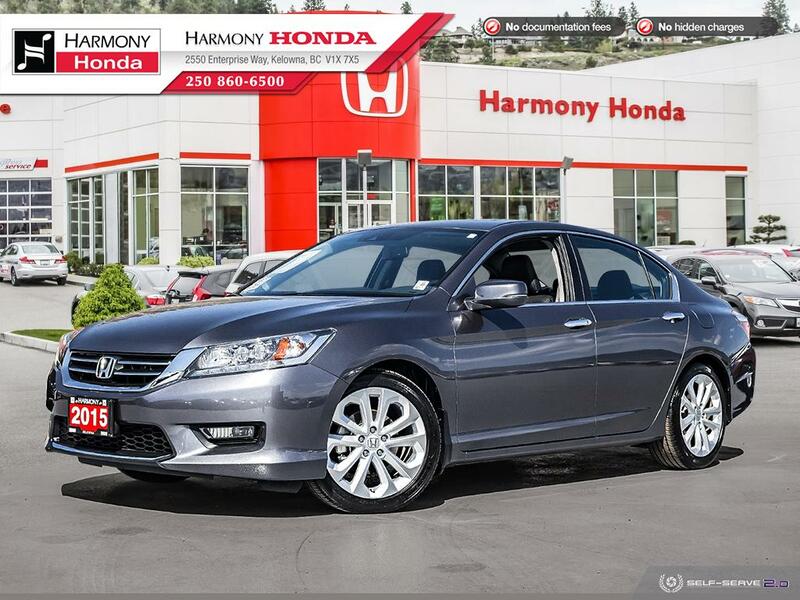 It's also equipped with the following Honda Sensing™ Technologies: LaneWatch, LDW, VSA. It has a seating capacity of 5 persons to accommodate the entire family. As Safety Features, this Sedan is equipped with: Dual Airbags (SIR), Side Airbags, Side Curtain Airbags, and Anti-Lock Brakes / VSA. For security and peace of mind, it comes with an Anti-Theft Device. New vehicle pricing includes all offers and incentives. Tax Title and Tags not included in vehicle prices shown and must be paid by the purchaser. All pricing and details are believed to be accurate but we do not warrant or guarantee such accuracy. The prices shown may vary from region to region as will incentives and are subject to change. While every reasonable effort is made to ensure the accuracy of this information we are not responsible for any errors or omissions contained on these pages. 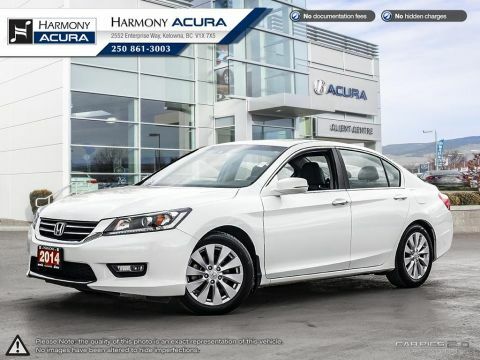 Please verify any information in question with Harmony Acura. This is easily done by calling us at 250-861-3003 or by visiting us at the dealership.